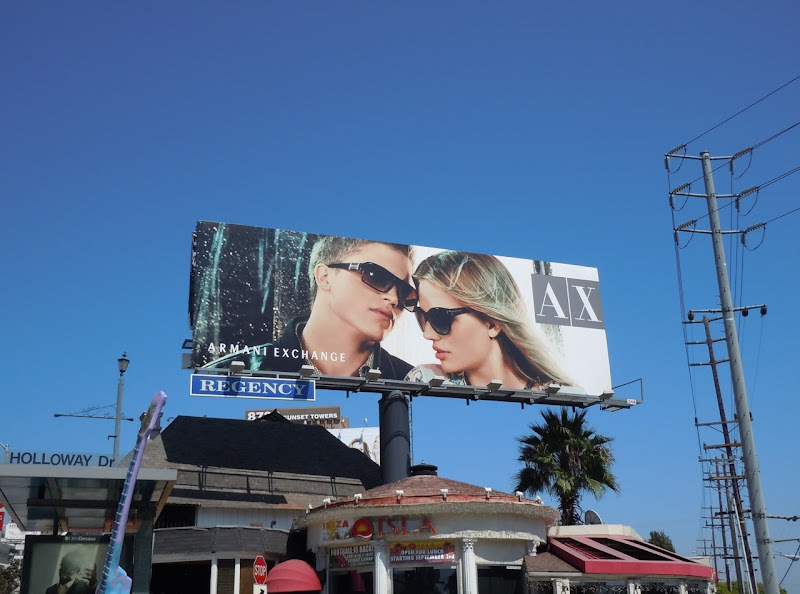 Sunglasses are always a fashion essential in California's Golden State and these three fashion brands are taking advantage of the abundant sunshine with some new eyewear billboards from their Fall 2011 collections. 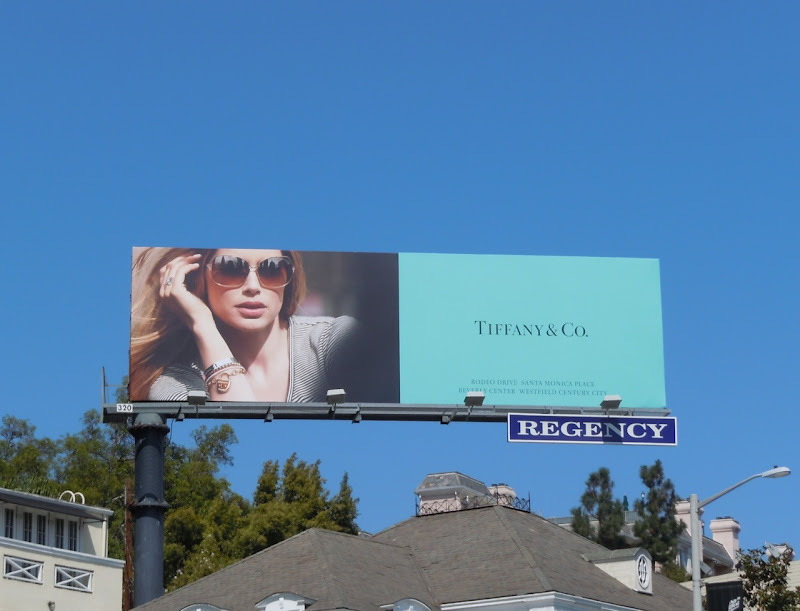 Calvin Klein Collection, Armani Exchange and Tiffany & Co. are all vying for your dollars this season with stylish creatives along L.A.'s Sunset Strip. 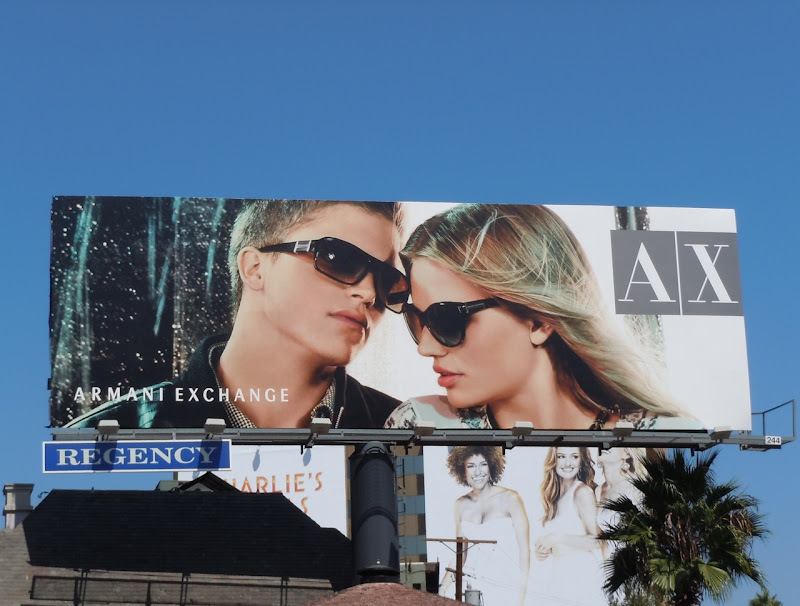 Calvin Klein looks cool in mono, with this simple and arresting visual for the high-end designer range, whilst Armani Exchange appeals to both the style conscious male and female demographic and Tiffany & Co. goes for a paparazzi inspired shot, as if some celebrity is caught out to lunch. 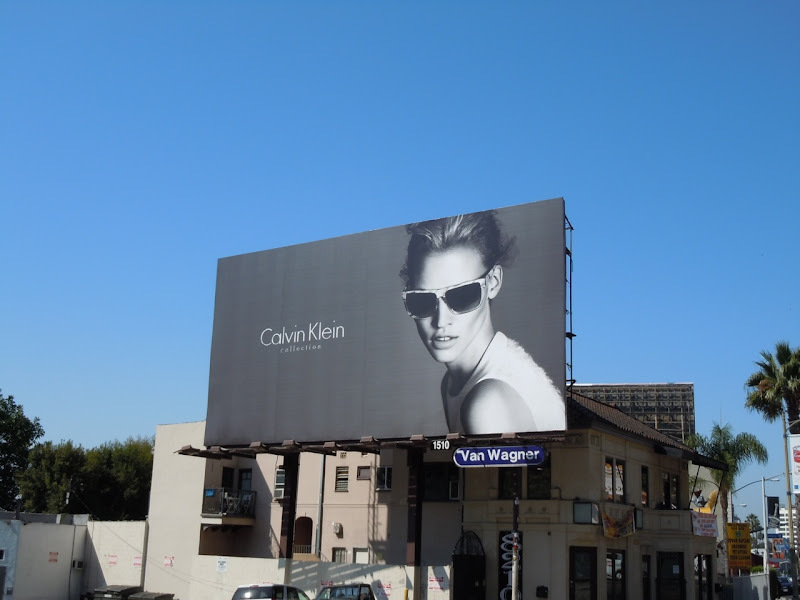 CK's stylish billboard was snapped along Sunset Boulevard on August 24, whilst theTiffany & Co. and AX creatives were photographed on September 2, 2011. What's your favourite style? 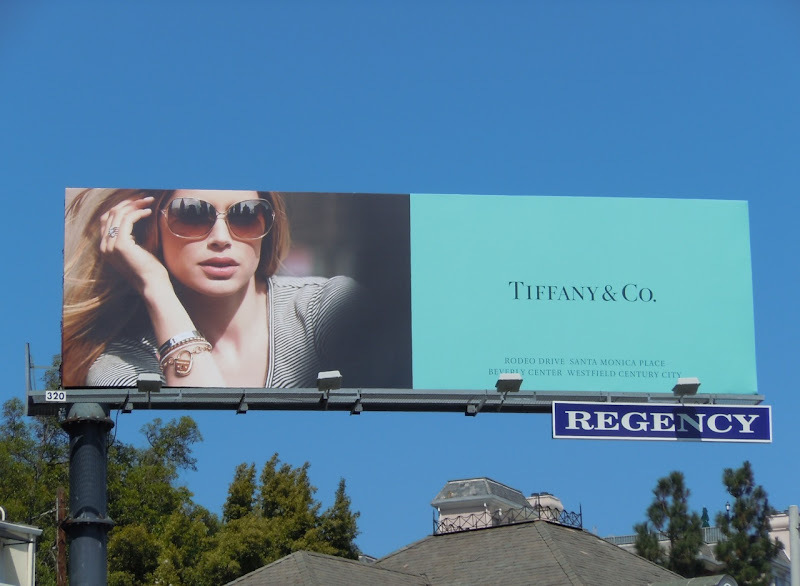 Who wins this battle of the billboards in your opinion? 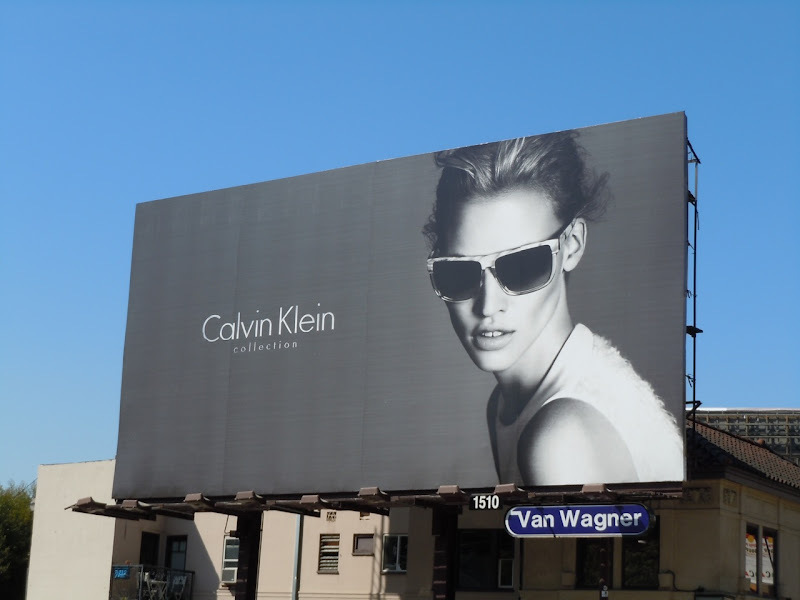 If you like these, be sure to check out the Gucci vs Prada battle of the billboards too.